This entry was posted on June 22, 2014 by thatpartychick. 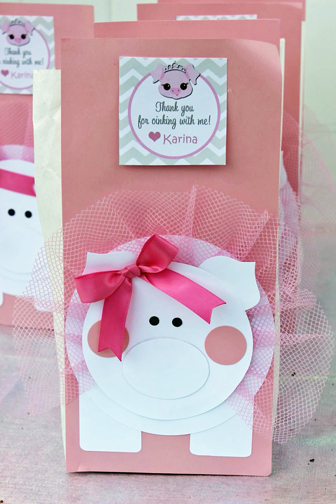 From the barnyard to the palace, this piggy princess party was as cute as could be to celebrate Karina’s third birthday! The invitation set the tone for a royal event. 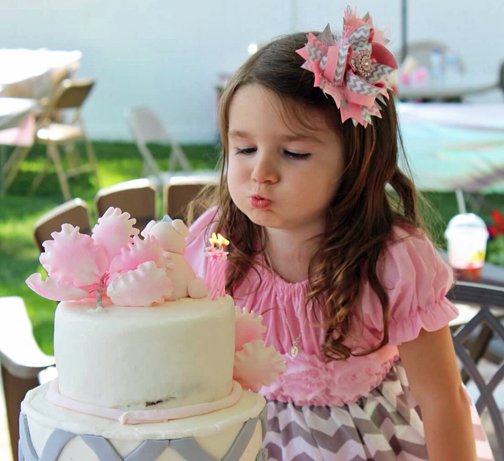 Pink and white polka dots with gray and white chevron designs were prominent in the party theme! 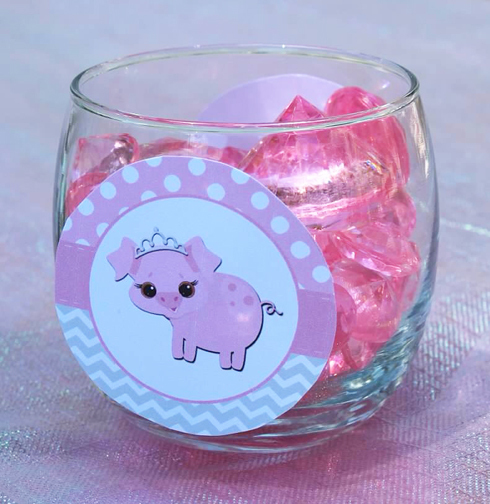 And of course, the pink little pig wearing a tiara was a favorite of the birthday girl. A party sign and banner welcomed her guests. 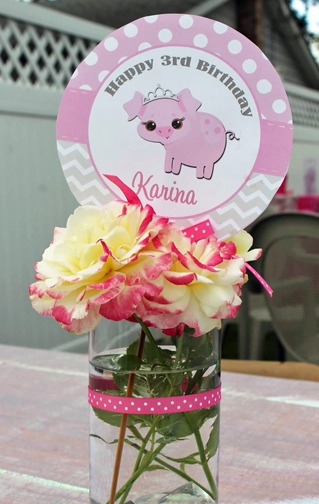 “Happy 3rd Birthday” party centerpieces were mounted in vases with beautiful roses. Pink jewels filled crystal glasses as additional table décor. 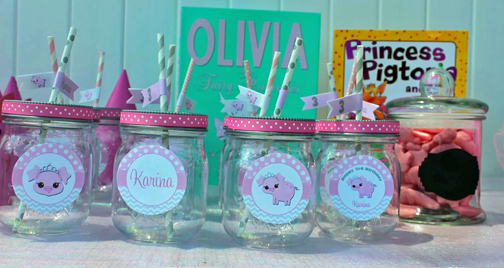 Beverages were sipped from Mason jars which were styled with personalized party stickers, as well as pink and white polka dot ribbon. Assorted pink and gray straws were trimmed with straw flags in keeping with the party theme. 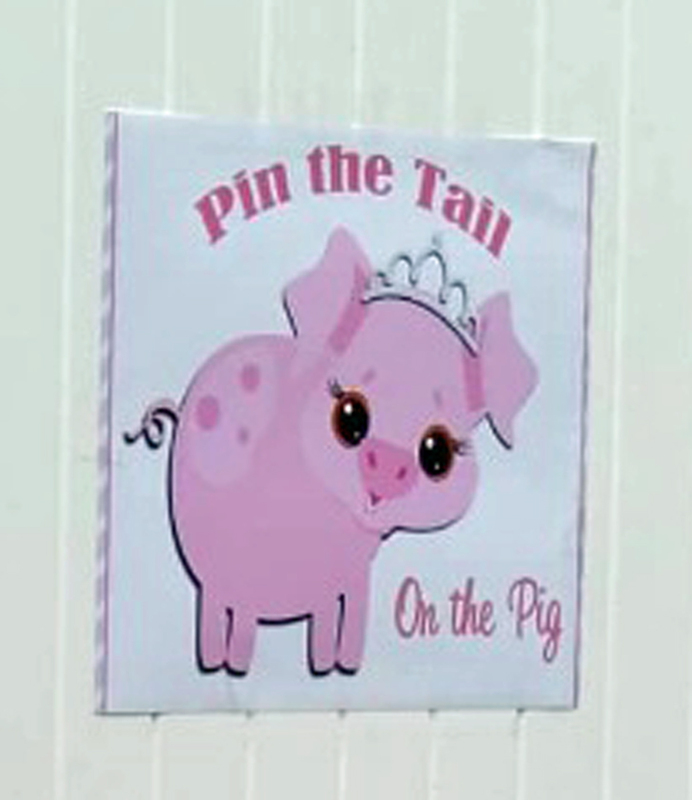 Pin the Tail on the Pig was a party favorite! 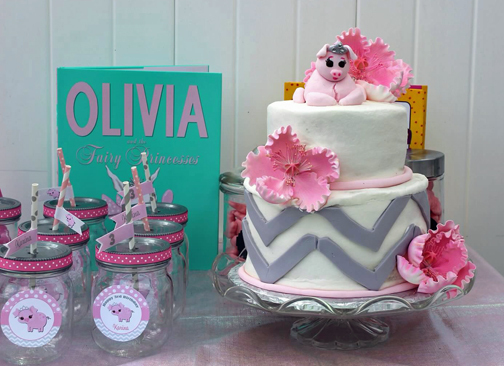 The two-tier cake included chevron patterns, flowers, and a piggy princess! 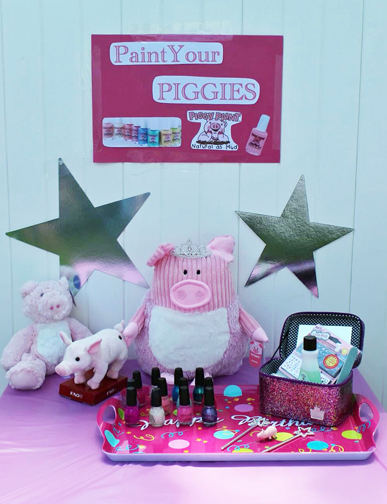 “Paint your Piggies” salon was stocked with a variety of nail polish much to the delight of guests! 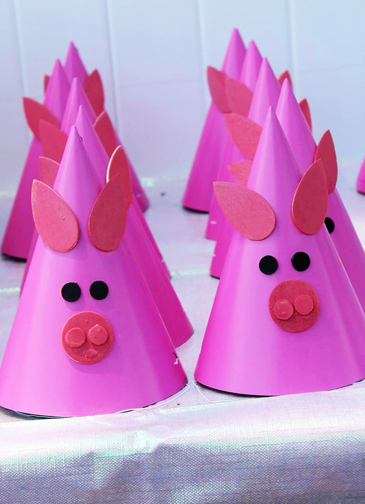 Pink pig party hats added to the festive atmosphere. 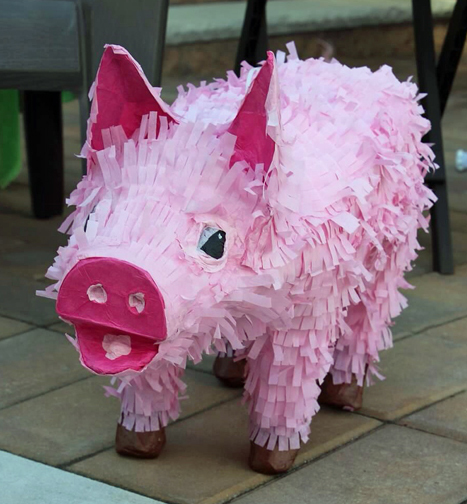 So many pig decorations were stationed throughout the home and yard, including pig balloons and a piñata ! 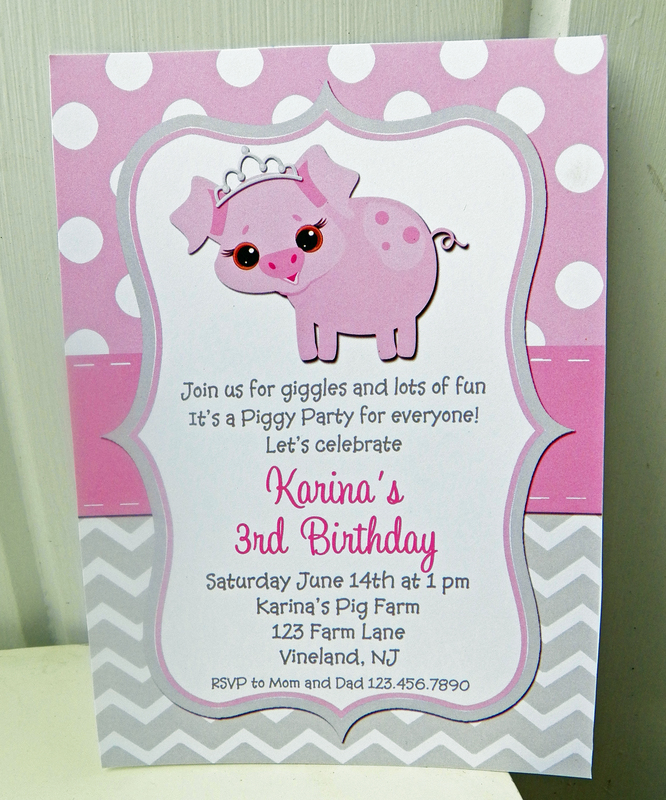 George’s Pig Lemonade Stand was in honor of Karina’s imaginary pig friend, and was a special request by the birthday girl for George to be included in the party! 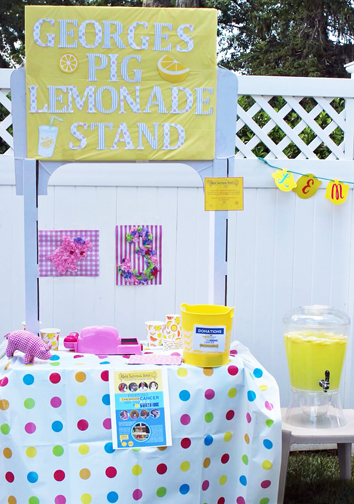 Donations were accepted and sent to Alex's lemonade stand for childhood cancer research. A wonderful party fit for any princess!! The party was a huge success the invitation and decorations where almost as beautiful as my granddaughter (lol)!! Thanks for helping make her third birthday memorable!! !